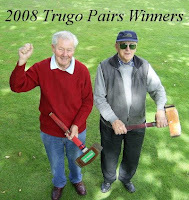 The Trugo 'Pairs' competitions were played at the 'Brunswick Trugo Club' today. In the 'Pairs' competition each team selects two players that will compete against all the other teams in the VTA league. The team with the highest score on the day is the 'Pairs' competition winner for the season. 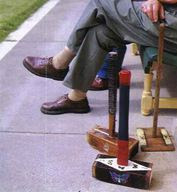 John McMahon and Jack Coldrey from the 'Yarraville Trugo Club' took out the title with a score of 35.